A highly contagious and painful disease has reared its ugly head in the US and shows no signs of slowing down. 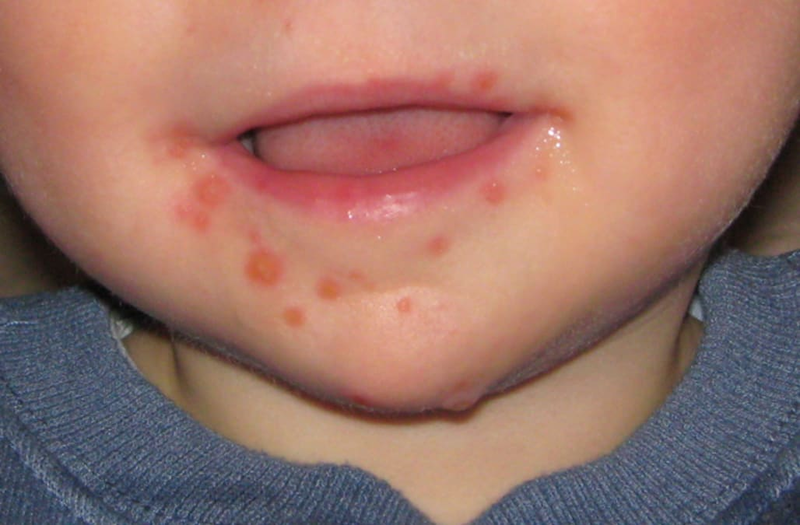 States have reported an uptick in hand, foot and mouth disease (HFMD) cases in the Midwest. The disease, which has so far gained momentum in Kansas and parts of Missouri, can cause those infected to develop painful blisters on their hands, feet and in and around their mouths. HFMD is caused is usually caused by the coxsackievirus a16 and enterovirus 71, but you may hear your doctor simply refer to it as the coxsackie virus. Though anyone can contract the disease, its most commonly found in children under the age of 10 and can spread when a person makes skin-to-skin contact with a blister or inhales droplets from an infected person's breath. Missouri Pediatrician Dr. Natasha Burgert told KSHB the best way to treat the patient's pain is with over-the-counter medicine and to just allow the disease to run its natural course -- which can range anywhere from 7-10 days. HFMD outbreaks are more commonly seen in fall and winter as children are typically inside schools with others who may have had contact with the virus. Early symptoms of the disease may include a sore throat and fever in addition to painful blisters that can look similar to cold sores and often will appear on the inside of an infected person's mouth or around the lips. A rash can also develop on the palm of the person's hands and soles of their feet around a day one or two after the first symptoms appear. However, remembering to wash your hands can greatly reduce your risk of contracting HFMD.